Ahead of Sunday's World Rugby Awards, Gary Heatly chatted Spirit of Rugby Award nominee Jamie Armstrong who helps the unified form of the game thrive in Scotland. "Rugby can change people's lives." It is a big statement, but it is one that drives Jamie Armstrong to do his bit every day to help the unifed form of the game thrive in Scotland. And it is that dedication and hard work to the Trust Rugby International charity that has seen him listed as one of two nominees for the World Rugby’s Spirit of Rugby Award FOR 2018, in association with Dove Men+Care. The award, which will be handed out in Monaco on Sunday in front of some of the world’s best players at a glitzy event, celebrates outstanding sportsmanship or care at any level of the game and is voted for by fans. Jamie is up against Harinder Singh, who gives slum children in India a chance through rugby, to win the award, but for the former it is not about accolades and all about growing the game in Scotland and getting people access to the great sport. So how did Trust Rugby International - TRI for short - and ‘The Clan’ come about? Back in 2010, Jamie was living in Spain and coaching rugby out there as well as being a coach educator for Scottish Rugby. “My son was playing out there and I wanted to help bring youngsters of all abilities together and so I began the Costa Blanca Rugby Academy,” he told TRU. “It was really to help the kids from 15 or 16 different nationalities to get to know each other and create a community and it was really exciting. “So, I started to look at what I could create in Scotland, but I knew to do anything I would need funding and we were keen to look into unified rugby and helping adults with learning disabilities learn about the sport. “None of what we have done in the last six years since 2012 with Trust Rugby International would have been possible without the help and passion of Dr Helen Lynn. “Very sadly she passed away earlier this year prematurely with cancer, but she was a clinical director for learning disability services for the NHS in Ayrshire and she was very keen to get rugby going for people with disabilities and she championed the idea. “We had lots of people telling us that rugby was too dangerous and things like that, but Helen kept me right and helped me to get in front of the right people to get the idea off the ground. “If it wasn’t for Helen, there would be no unified rugby in Scotland, simple as that. Her whole thing was about getting adults with learning disabilities access to hobbies and sports that they would otherwise not have had access too. “The reason why we set up Trust Rugby International was to bring together diverse individuals and cultures through rugby and that is what we are doing. In unified rugby, disabled and non-disabled players play on the same team; those with disabilities wear a red scrum cap, meaning they do not receive a full tackle and are protected in the tackle areas of the game. 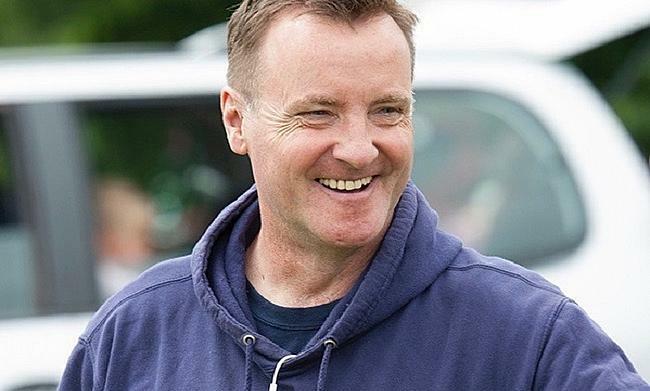 One of the first players to join ‘The Clan’ - as the unified team in Scotland has become fondly known - was Paul Johnston. Paul’s parents, Brian and Senga, nominated Jamie for the World Rugby award. Jamie - who played rugby in the west of Scotland from the age of 12 to 22, but was diagnosed with a heart condition and, in his own words, “walked away from the game” for a number of years - is now well and truly in love with rugby again. And he has big plans for the future of TRI: “We really want this to be for everyone and we use the term unified for that reason, there are no barriers to entry here. “We have taken teams to various different tournaments around the world and have had great support from Scottish Rugby and World Rugby too. “To see the changes rugby makes to disabled and non-disabled people who get involved with TRI really does make it all feel worthwhile and I cannot wait to grow things even further in 2019. It is aig statement, but it is one that drives Jamie Armstrong to do his bit every day to help the unified form of the game thrive in Scotland.